iRealHousewives | The 411 On American + International Real Housewives: Kyle Richards Hopes She And Lisa Vanderpump Can Be Friends Despite RHOBH Drama And Addresses Season 9 Rumors! Kyle Richards Hopes She And Lisa Vanderpump Can Be Friends Despite RHOBH Drama And Addresses Season 9 Rumors! Multiple outlets have reported that Lisa Vanderpump has gone MIA and is refusing to film with her co-stars. So what does Kyle has to say about the rumors? 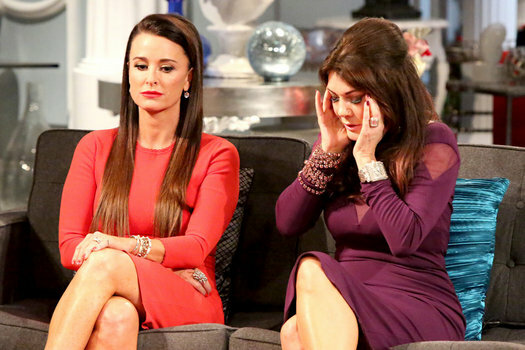 Kyle hopes that her friendship with LVP can survive the drama of the Bravo hit reality series. “You know? I love her, I really do. She’s a good friend of mine for many years and I love doing the show with her and I hope so. We have fun together, laugh together, so we shall see,” she told Us Weekly.